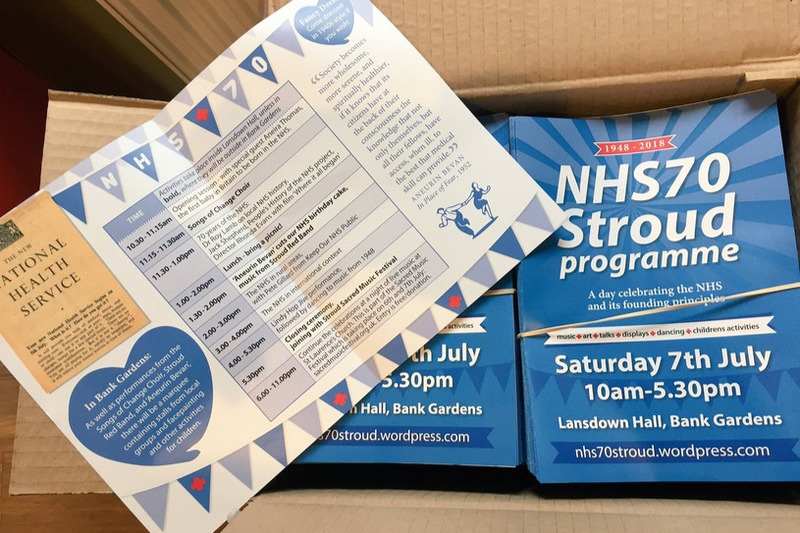 To celebrate the 70th anniversary of the founding of the National Health Service on the 5th July 1948, Keep Gloucestershire’s NHS Public are organising a variety of events and activities – and hoping to encourage the residents of Stroud to celebrate and reflect on the principles of the NHS and their value. An all-day celebration event on Saturday 7th July at the Lansdown Hall and in Bank Gardens. We need funding for venue hire, public liability insurance, publicity and display materials, and to cover the expenses of our special guests. We'd also like to pay a film-maker to create a record of the event. We've been lucky enough to to receive some funding already, but have also had a setback with a significant grant being denied. We are keen to run a free event open to all, and we'd be really grateful to anyone who is able to help. 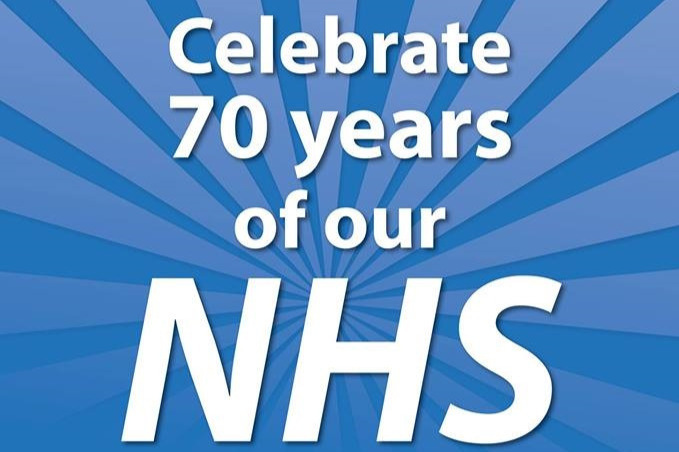 We think the 70th anniversary of the NHS is a significant moment for the country and we want to ensure there is a celebration worthy of the occasion. The principles of the NHS - that all should be able to receive health care, and access the treatment they need, free at the point of use, funded by general taxation - are just relevant today as ever. These principles need our support and the 70th anniversary is a great moment to consider their value and commit to improving the NHS. Thanks for any donations you are able to give! We are really grateful for your donations - we couldn't make this event happen without your support. Find out all the details at www.nhs70stroud.wordpress.com. Amazingly, it's already nearly time for our events marking the 70th anniversry of the founding of the NHS to start. 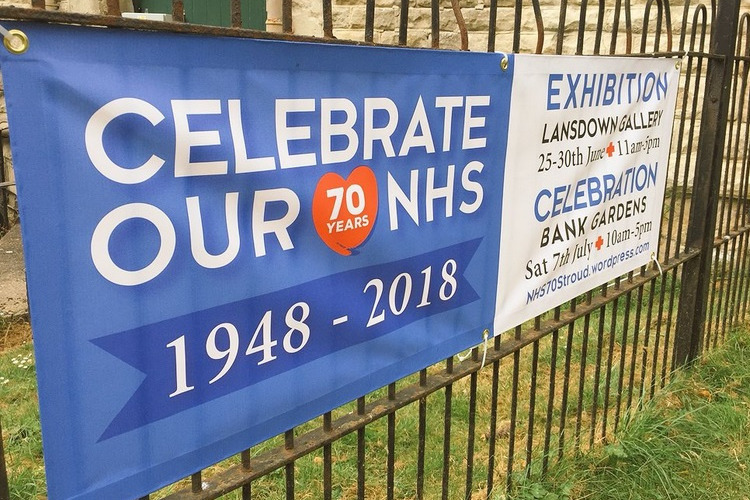 Next Monday 25th June we open our exhbition on "NHS Funding: past, present and future" at the Lansdown Gallery (11am-5pm daily till Saturday 30th June). We're launching the exhbition with a special Opening Night event featuring PFI expert Helen Mercer and other special guests (6-8pm, Monday 25th at the Gallery). Our guests for the 7th July are all booked in - including Jack Saunders from the People's History of the NHS project, veteran local GP Dr Roy Lamb, and the first baby born in the NHS in Great Britain - Aneira Thomas! We've been making metres and metres of bunting, designing cakes, and used your donations to fund 5,000 programmes which we are handing out around Gloucestershire, some banners which are appearing in Stroud, and to cover the expenses of guests and our film-maker (Mike Bale, who we think has done a lovely job for our teaser trailer). Thank you once again for your generousity - do please tell your friends, family and colleagues about the events and we hope to see you on the 7th July if not before!